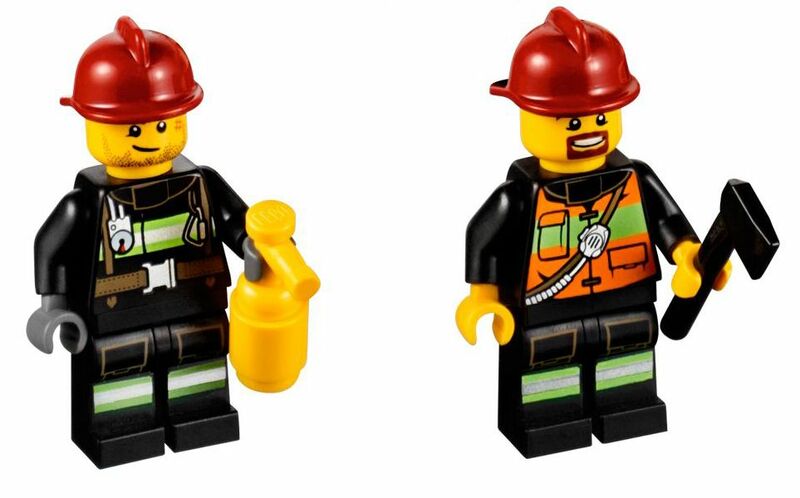 The Mining Heavy Driller is a new City set from the Mining subtheme that has around three hundred pieces and it definitely looks a pretty nice option, if you don’t own many vehicles or figures of this theme. As you can see in the pictures, the set features a big and powerful heavy driller, a small loader truck, a mine cave with plenty of gold pieces (as well as a spider), a research lab and three mini-figures ( a couple of miners and a geologist) with plenty of different accessories. 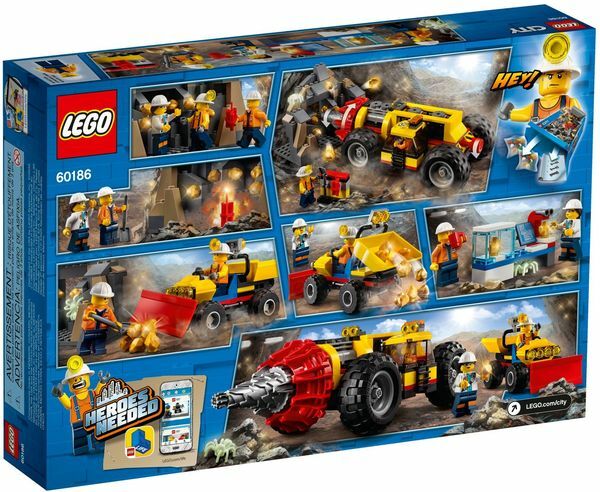 The Heavy Bulldozer is obviously the hero of the set. 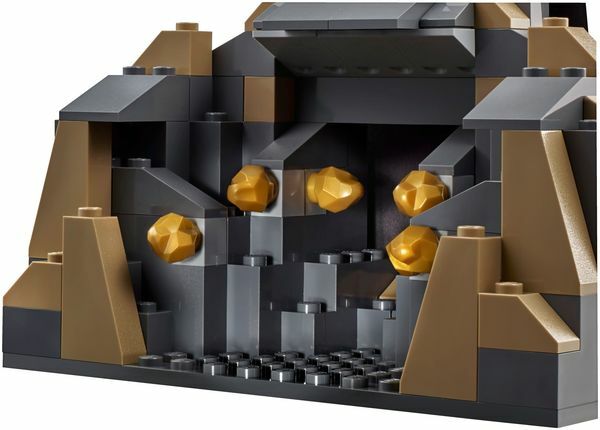 With a pretty and usual color scheme, it has a massive driller that can be controlled through the back with a knob that surely will handle pretty well with all the gold that is inside the cave. The wheels are almost as big as the vehicle and the tiny cab is placed on the left, between the wheel and aside the powerful engines. Inside there’s only space for the driver and a small control panel. 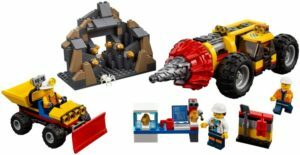 The loader truck is very small compared to the driller but it surely has an important role in the set, transporting the golden parts from the cave to the lab, thanks to the big red shelve in the front and the tipper bed in the back. Between both, there’s the miner’s seat and the steering wheel. The lab is basically a small bench with some useful research tools and a computer to analyze the data. 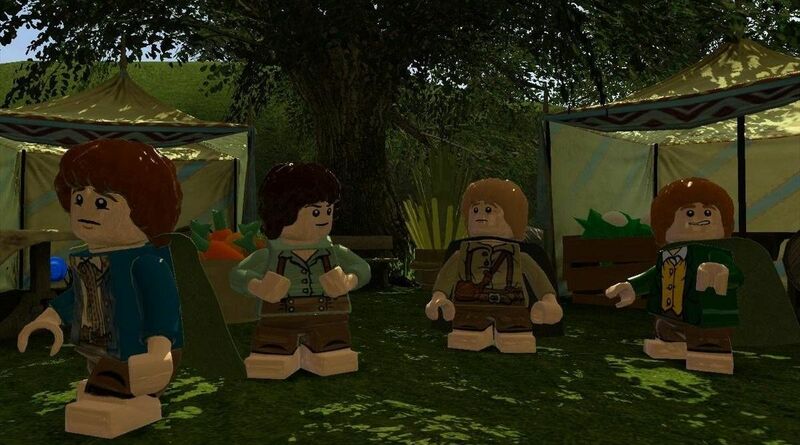 Overall it seems a pretty nice set. The driller is sturdy and powerful, and the fact that it can be triggered in the back, it’s absolutely a positive point in terms of playability. 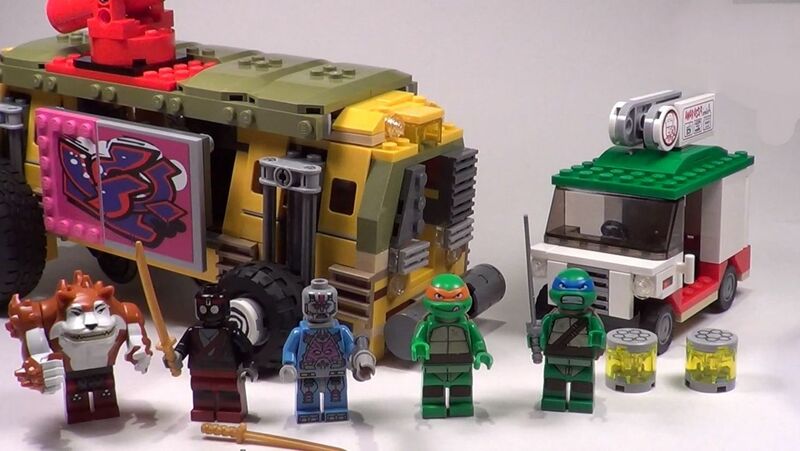 The set should be available in January on general retail with a price around the thirty dollars. 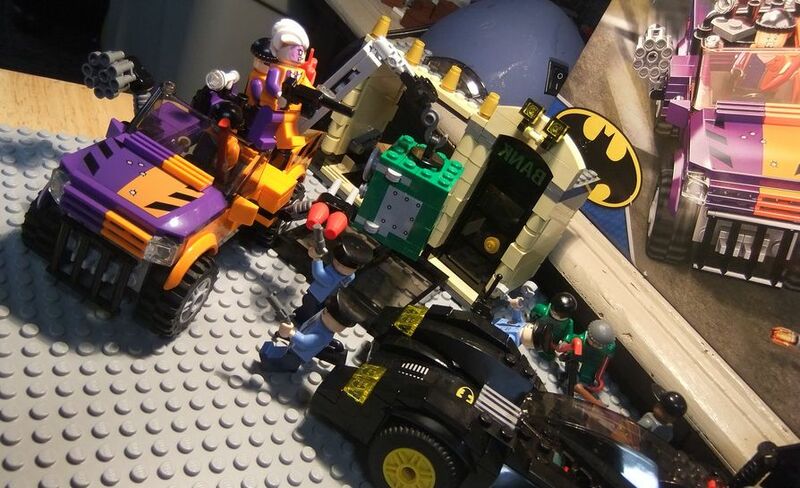 This entry was posted in Mining and tagged 60186, Driller by pedrolpais. Bookmark the permalink.